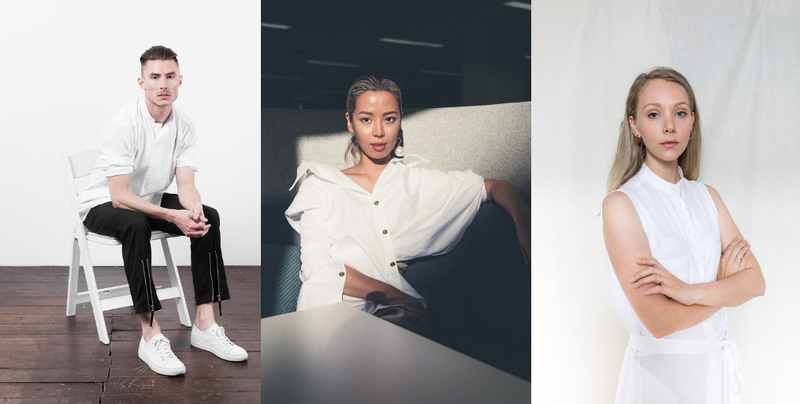 In partnership with the Australian Fashion Council (AFC), BT Financial Group has recently announced the three finalists for the 2019 BT Emerging Fashion Designer Awards. We can expect to see the winner of this award announced later this year. Finalists Courtney Holm of A.BCH, Minhee Jo of Aaizél and Blair Archibald of Blair Archibald were selected from over 50 applicants by a panel of industry experts. This panel was made up of Edwina McCann – editorial director of Vogue Australia, Vogue Living and GQ Australia and co-chair of AFC, designer Bianca Spender, Jaana Quaintance-James – head of sustainability and ethical sourcing at The Iconic and Westpac Group’s Rebecca Lim. A.BCH is an independent fashion label that is making responsible fashion desirable to consumers. The life-span of every piece created by A.BCH is thought about, from ethically sourced fibres, threads and components, to ethical supply chains and focus on the user phase. Through these practices, A.BCH is Australia’s first fully circular fashion label. With requests from Beyonce, Lorde and Kim Kardashian, Aaizél’s garments combine the best parts of tough femininity and elegance. Minhee’s approach to construction has garnered the Australian brand much deserved international attention. Minhee has partnered with New York’s luxury retailer, Olivela, where 20 per cent of sales are donated to the retailer’s partnered charities. Blair Archibald is celebrated for their specially engineered designs that are known for both the longevity and sustainability by using local production partners and highly considered fabrics. The minimal aesthetic reconfigures gender conventions by designing silhouettes that are easily accessible to all. Applications for the 2019 award was a bit different from previous years as the application was updated to include a much stronger focus on the sustainable and ethical practices that an applicant utilises in their business. Alongside Australia’s most successful designers, the three finalists will present their collections at the BT Runway event on 11 April 2019. The winner will be announced on the night and will receive a prize valued at over $100,000. This year’s successful applicant will join Albus Lumen (2018), Kacey Devlin (2017), Macgraw (2016), Emma Mulholland (2015), Michael Lo Sordo (2014) and Christopher Esber (2013) as winner of one of Australia’s most esteemed designer award events. This award has contributed to the success of these Australian designers. Watch this space for updates on the 2019 BT Emerging Designer Award.